I dub thee... Dame Anna. Oh, and you too, I suppose. * How does this compare to Royal Carriage? * How many of these do you want? * Under what conditions (besides the trivial of no Actions in play) do you go for the + ? 1) They're roughly the same strength, but they each have slightly different tricks they can do in different situations. 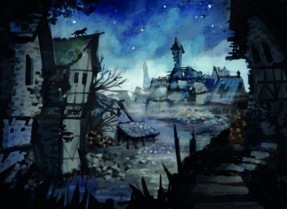 2) As many as your draw can handle. As I see it, the key difference is timing. 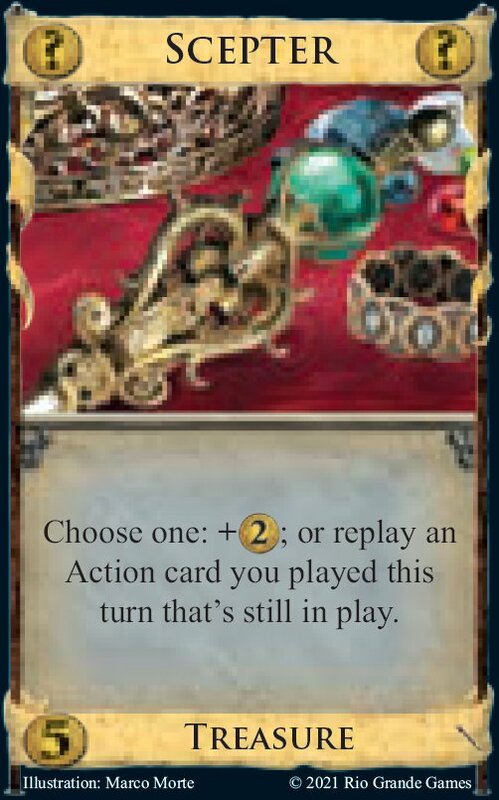 Royal Carriage lets you repeat an Action's benefit at once, but you have to have it in your hand when you play the action; with Scepter you have to wait until your Buy phase to repeat the Action's benefit, but you also don't have to have it in hand until then. The pros and cons are fairly clear if you consider Smithy as a target. When you play Smithy, you can then play a Scepter that it draws, but it's too late to play any actions the second Scepter drew. I believe you mean on your Tavern mat? I don't have a full bead on Scepter, but I know for sure that it's weaker than Royal Carriage. One of the best things about Throne Room variants is that they can help you draw your deck and amplify your payload. In most cases, Scepter only does one of those things. Even though it's slightly better at amplifying payload, that doesn't make up for it's (usual) inability to help you draw your deck. Scepter is way weaker than Royal Carriage, but there's some cool stuff it can do that RC can't, and in the occasional game where it's useful or important it can really make the difference. There's a huge combo with Sculptor and any cost reduction for those who want to find it, but even just using it to play more Monuments or Wild Hunts or Bridges can be devastating if you're the person who sees it first. Well, yes. But if you play it one turn and call it the next then you're trading off increased flexibility against the Duration-like limitation of only getting to play it every other turn?